The picture of a man collapsed on a bean bag unconcerned of the world, with a mug of beer in one hand indicates the kind of character that we would be introduced to. ‘Sorting out Sid’ by Yashodhara Lal is the story of Sid and the people in his life - his wife Mandira, friend Aditi and another character Neha. The story starts with a birthday party in Aditi’s house which is attended by Sid and Neha, apart from others. The forgetful nature of Sid is also introduced in the same chapter when he assumed that it is Aditi’s birthday, while it was Ayyan’s (Aditi’s son) birthday. Sid is introduced to Neha by Aditi. Neha is divorced and has a child. The married life of Sid is not all fine. There is always some difference of opinion between the two. The story proceeds to show how the marriage between Sid and Mandira breaks up due to some misunderstanding on the part of Sid and how he gets closer to Neha. The story makes a good read but doesn’t offer anything new or interesting. But it does focus on certain aspects of relationships, rather subtly. Neha’s mother also has her presence in the story and the interaction between Neha and her mother is quite contrasting to that between Sid and his parents. Sid doesn’t feel comfortable enough with his parents in his house while Neha seems to enjoy her mother company. Neha’s another too is quite supportive. The reader is urged to think of the reasons and what the importance of the relationship of one with his/her parents. Another point highlighted by the author is how minor misunderstandings can break a relationship. Sid suspects that Mandira has an illegitimate relationship with Vikas which later turns out to be nothing but a false interpretation by Sid. Rather than verifying his assumptions, Sid is assertive about his conclusions and he in a way becomes responsible for the breakup of marriage. The novel also has a lot of focus on corporate life and the funny things that happen in the corporate world. While the story can be a good one time read, the ending however doesn’t sound right. The relationship between Neha and her husband improves slightly and Sid realises his mistake but Sid, instead of getting back into Mandira’s life decides to go with Neha as his partner for the remaining of his life. One if left wondering about was the mistake committed by Mandira that she has to suffer! This review is a part of GetPublished book reviews program by IndiBlogger. Hi Ranjith. Thanks a lot for your review. I'm refraining from commenting on all reviews ( and there have been many, which I am grateful and happy about, including for yours)- just to point out that you've given away almost the entire story, including the twists that the reader is supposed to discover - e.g. 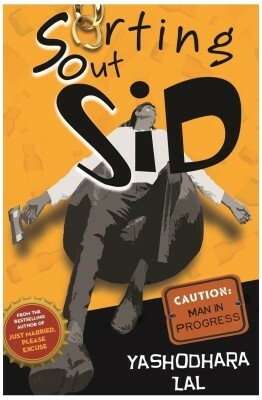 the end, the misconceptions Sid has, etc.